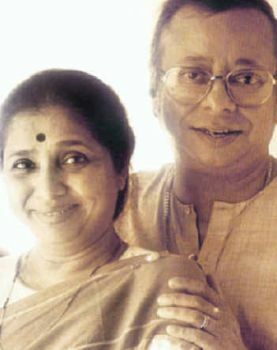 What can I say about R D Burman that I have not already said before.. ? So here’s a different approach. For those who haven’t heard enough of him, I want to share a few specific snippets of a few of his songs. So you can appreciate the brilliance of the man. Remember that most of his work was in the 1970s and 80s, way before the fancy mixing equipment and electronics came into the picture. And during those days, how he created this magic.. In the same song, you can see Asha’s class, but I would still credit RD for ‘directing’ it that way. The voice modulation, changing over to an almost Usha Uthupesque baritone..
Of course, you should see the full song to really enjoy it all. 2. Then there is ‘Kuch Na Kaho’ from RD’s last film, “1942, A Love Story”. The song was beautiful also because of the awesome picturisation by Vidhu Vinod Chopra. But let’s appreciate the fine parts of the song. For example, again, the music to set the song up and get it started. Unfortunately, Kishore Kumar was not around, and he would have done far better justice to a song like this. Now see this piece. The music before the words come. Then, as the words are sung, keep your ears to the background sounds. There is a magic about them. And overall, can you feel the effect like the song was playing somewhere in the hills far away, with a slight echo out there.. giving a feeling of that mountainous regions?! To repeat, Vidhu Chopra has shot this absolutely brilliantly. One of the best romantic songs ever to be seen on screen. Manisha never looked as good on screen as she did in this film. If only Kishore was there to sing this one! And here’s the complete song. It is one to die for!! 3. A near narrative of a song is another old favorite of mine, “Jab Andhera Hota Hai” from Raja Rani. Bhupinder and Asha Bhosale enhance the high impact of the song. Starts slow, moves up a notch.. and gets high impact, as Asha belts out, “..jab savera hota hai.. yaaha..”. The full song with all the 1970s glitz and sound, for those who want to indulge! 4. Another classic, a song that actually recites a poetry. Beautifully executed by Asha Bhosale, conceived by Panchamda, written by Gulzar. Here’s the start..
Also listen to this part. Amazing music. And then listen to Asha especially the part where she stretches the end so beautifully at “Ek Akeli Chhatri Me Jab Aadhe Aadhe Bheeg Rahe Theeeee”. And again the music just after that. Can you imagine the challenge of putting tough poetry stanzas of this kind, into music? When we hear the finished product, it appears good and nice, but the challenge of composing this one, and recording it, needs to be visualized! The complete song, with the lyrics to enjoy. The list can go on, and this can be a long, long post. But the idea was not to be exhaustive, but rather, to give a glimpse of the richness of R D Burban and his work. You do an amazing job when you talk about Hindi films and their music. 🙂 If there’s one activity of yours I’m a fan of, it’s this. IMVHO, what makes these essays stand out is your very visible devotion to something you love. You write like a devotee, not an expert. It strikes a chord in me every time. Wish there were more like you to bring out the nuances of every thing of beauty. There are green spaces in Mumbai, believe me!